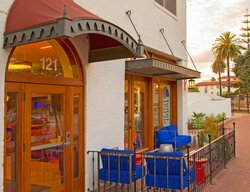 Discover our contemporary art hotel in the heart of Santa Barbara’s Funk Zone, complete with all the amenities and services the modern traveler desires. 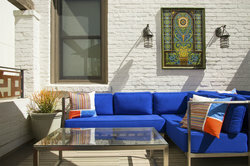 Our premier location provides guests with easy access to the eclectic Funk Zone neighborhood. 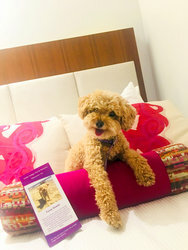 Hotel Indigo is dedicated to offering a more unique guest experience through our excellent customer service, neighborhood know-how, and contemporary exhibitions. 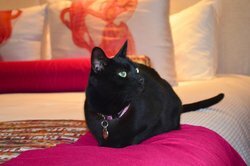 Enjoy your stay at our art hotel complete with a host of thoughtful amenities and services. 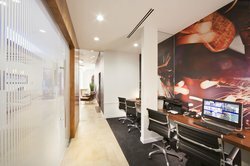 Our refreshing reception features a gorgeous mural and artistic videos on the lobby screens. 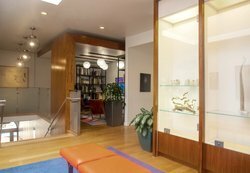 Explore our hotel throughout both floors and in our library featuring art books and artwork from the Carolyn Glasoe Bailey Foundation. 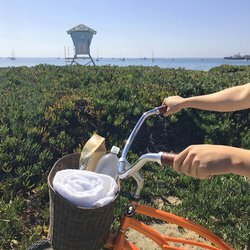 Check out one of our complimentary bike rentals at our front desk for a day-time adventure! Guests are permitted to borrow bikes for 2 hours at a time, or extended periods with our Car-Free Perks Package. Trainspot and people watch from our front patio, while enjoying a fresh cup of coffee. 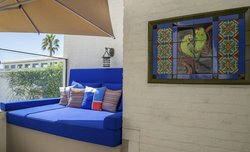 Sunbathe on one of our second story open-air lounges, the perfect place to unwind with friends, imbibe a bottle of Santa Barbara County wine, or enjoy a good read. Host a private business meeting or deposition in our intimate Executive Boardroom, which seats 10. Rent the room ahead of your arrival! Containing an HD LCD TV, whiteboard, and a large wooden table, our boardroom is the perfect place to meet with your core team. Stay connected with the office using our 24/7 business center and complimentary Wi-Fi throughout the hotel. Located in our lobby area, our business center houses two desktop computers and printer/scanners. 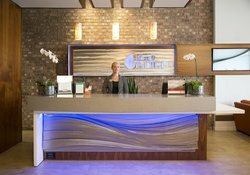 Stop by our 24-hour front desk for assistance with late check-out and late check-in, subject to availability. Our concierge is happy to assist with any dry cleaning pickup, valet parking, or food delivery services. Work out on the go at our fitness studio, open 24 hours to accommodate your unique schedule. 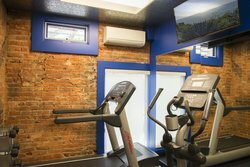 Our studio includes an elliptical machine, treadmill, free weights, and yoga mats. 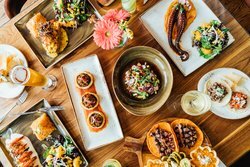 Dine at Santo Mezcal, our Zagat-rated, award-winning, on-site restaurant, which features a contemporary twist on traditional Mexican dishes and mixologist-crafted cocktails. Pick up a snack on the go at our on-site sundry shop. We offer a selection of local snacks, fresh fruit, sandwiches, drinks, and sweet and salty treats.